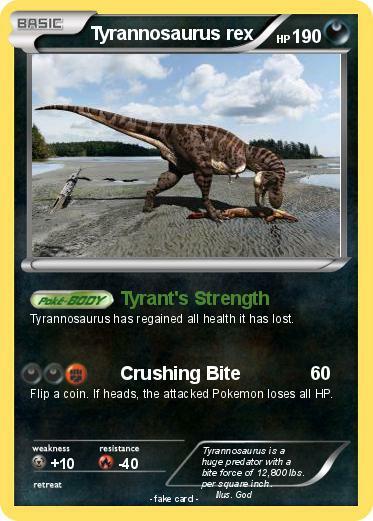 Tyrannosaurus has regained all health it has lost. Flip a coin. If heads, the attacked Pokemon loses all HP. Comments : Tyrannosaurus is a huge predator with a bite force of 12,800 lbs. per square inch.